This week we have been taking a look at chair pose (utkatasana). I often see this traditional pose being done with a form that can cause greater risk to the knees and lower back and missing the opportunity to engage our core. First of all, and most troublesome to the knee is the fact the knee has been allowed to bend too far. 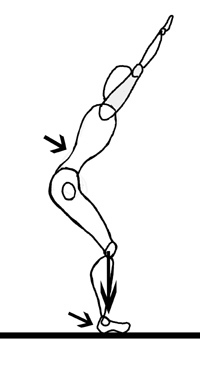 When the knee moves in front of the ankle line in standing poses, greater pressure comes against the vulnerable knee cartilage. There is also increased pressure to the cruciate ligaments as well. A young and healthy knee might be able to get away with this kind of posture but there is still increased risk. For a knee that has had a few knocks and pings in life, doing a pose in this way not only brings on knee discomfort but worsens any cartilage or ligament damage already present. Second and equally worrisome is the over arching of the lower back. Creating a greater than normal back curve without elongating the spine will jam spinal joints together. This spinal compression can result in discomfort and lead to a hastening of spinal arthritis if it is practiced frequently. The problem is not isolated to the lower back either. This extreme back extension will lead to greater stress to the neck spinal joints and muscles as well. 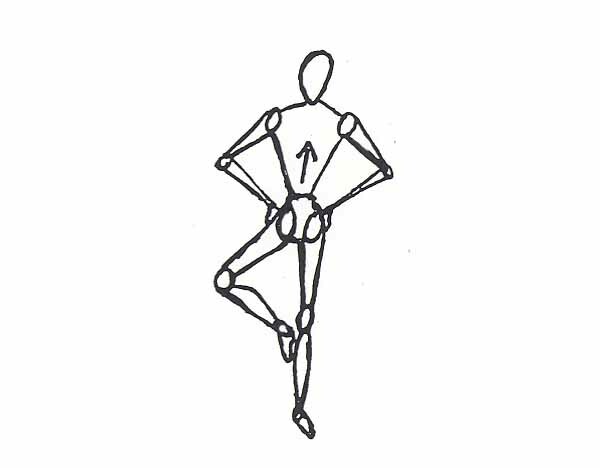 The other problems displayed in this pose form is having the weight away from the heels and onto the toes of the foot. 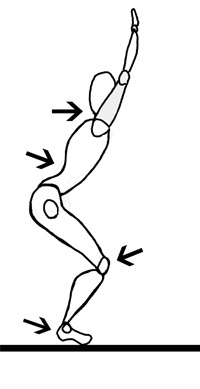 This toe weighted action causes the body to use the quadriceps muscles strenuously and the body posture also enforces a shortening of the hip flexors as well. As a rule, our modern life already recruits the quads far more often than other core muscles and our frequently seated posture forces the hip into a bend that shortens the hip flexor and leads to a weakening of the seat muscle. So, to sum it all up, this traditional and incorrectly postured chair pose has a great potential to cause knee problems, back problems, and neck problems while reinforcing an overdeveloped and short hip flexor muscle group as well as missing an opportunity to engage the glutes. There is a much better way to do chair pose which will eliminate the postural problems listed above as well as create a more dynamic core action in abdominal muscles and glute muscles. Place your hips, shoulders and head on the wall. Keeping your legs straight, move your feet about one of your foot lengths forward of the wall (6 – 12 inches or so). Bend your knees so they are directly over your ankles and your shin is a perpendicular line to the floor. Place your hands on your knees and bend forward at your hips. Push your weight back onto your heels, but keep the front of your foot on the floor. Slowly bring your hips off the wall without causing your knees to move forward. This is the hard part. If you simply cannot come away from the wall then start over and move your feet a little closer to the wall. At no point let your knees move in front of your ankles. Always keep the weight on your heels. Move slowly and smoothly without a sudden lurch. Now that your hips are off the wall, press the weight back into your heels and keep the front of your foot on the floor as well. Tighten your abdominal muscles, pulling your navel toward your spine. Make your low back curve neutral (neither arched too much or flattened). Straighten your arms so that your are tractioning your spine. Now take your hands to your middle thigh and with arms straight, traction your spine. 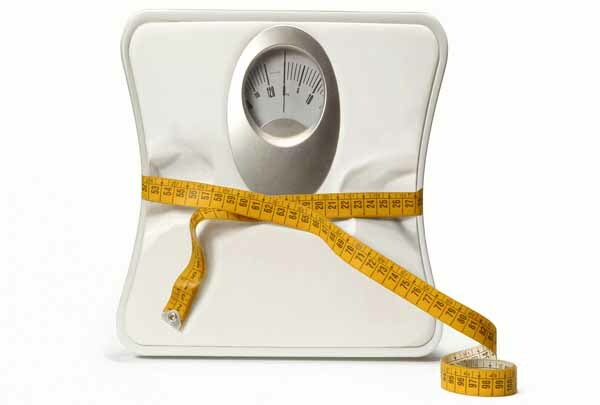 Keep the weight on your heels, your abdominal muscles active and of course, your knees over your ankles. Now take one arm and reach it forward in line with your head. Breathe deeply and then take your other arm forward. Keep your abdominal muscles active, the weight on your heels and your knees over your ankles. Doing chair pose in this way will give you strong action in your glutes and your abdominal core muscles. 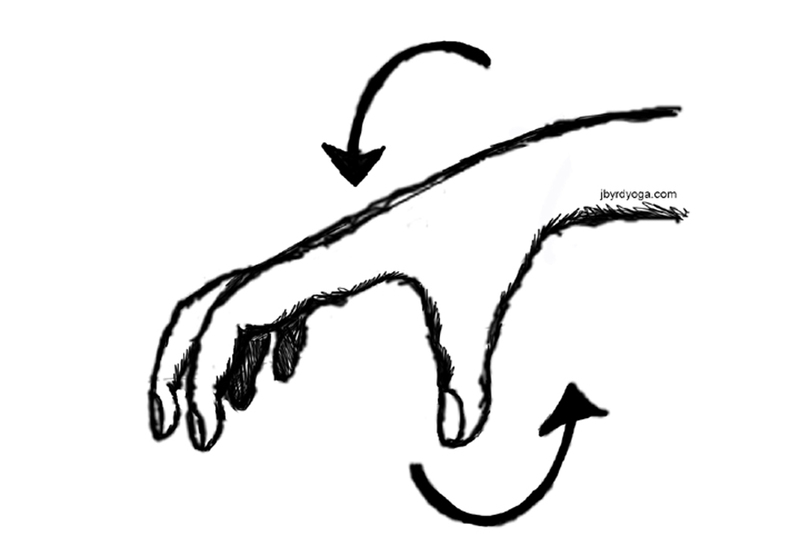 The step by step process will make sure you keep your postural alignment throughout the pose. Practice this way often and eventually you will have no problem creating this posturally appropriate version of the chair pose on your mat away from the wall. Your core strength will improve and you will be able to do this pose without knee or back trouble.